Broad Cove clams are easily identified by islanders as the tastiest and most succulent of all the clams. Maddie Dodge collects them for her cats, and other good Islesboro cooks use them in pasta and pizza recipes. 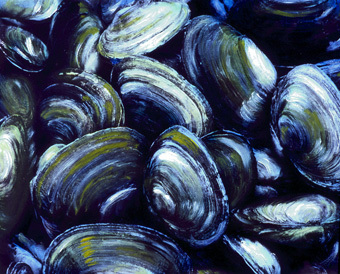 Some summers the Red Tide pollutes the harbor and causes a shutdown of all clamming efforts.